Veterinary programs, legendary for their tough acceptance standards, require experience in a professional setting. They seek students who have demonstrated a commitment to their chosen profession. 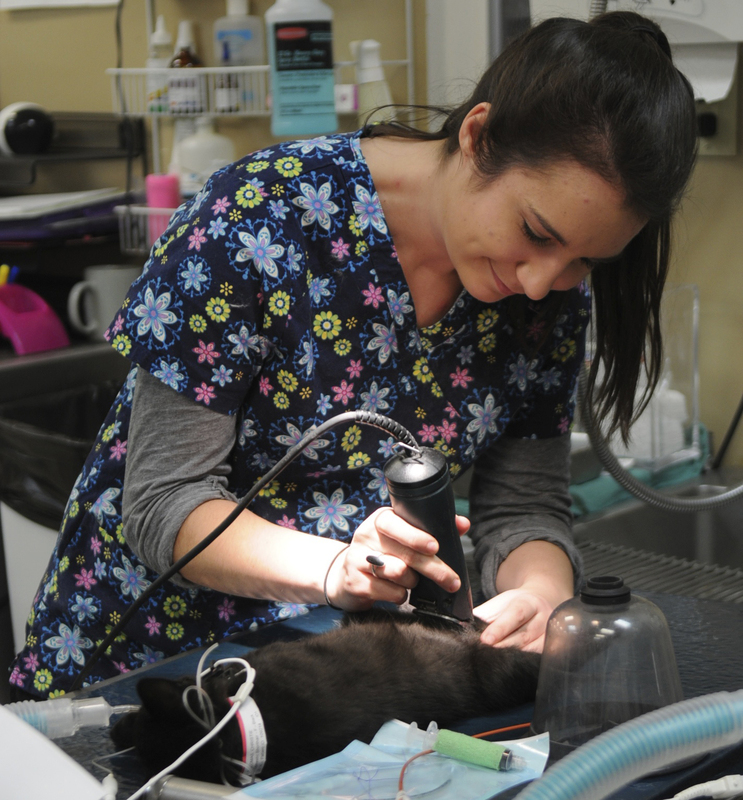 Hollins’ pre-vet program has a proven formula for success: Course work + internships + research. Requirements for admission to veterinary school can vary from program to program. Pre-Vet courses offered at Hollins mirror the academic requirements for admission to most veterinary schools. Pre-Vet students should consult the publication Veterinary Medical School Admissions Requirements. It lists the requirements and recommendations of specific veterinary schools. The University of Limerick in Ireland offers a term studying equine science. Hollins students talk about the small classes, one-on-one attention from faculty, and extensive research opportunities that are the hallmarks of the pre-veterinary program of study at Hollins. Contact a member of the biology department for advising information and guidance. A member of the biology department can help with advising information and guidance.